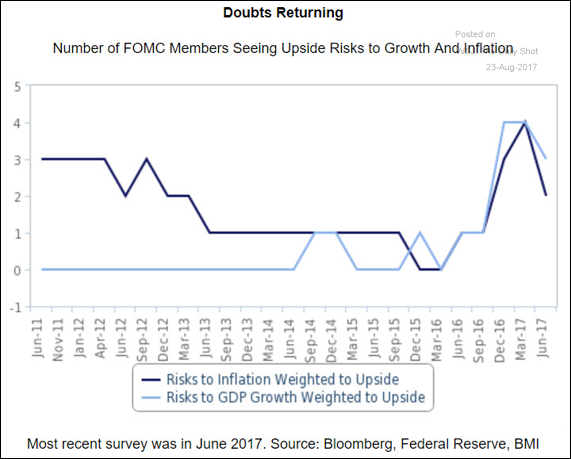 The United States: The FOMC officials have become less concerned about upside risks to inflation and growth as the fiscal stimulus legislation gets delayed. 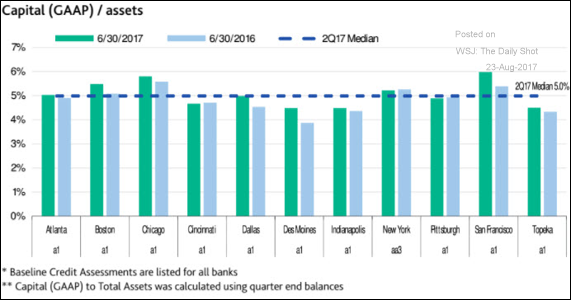 Credit: Most Federal Home Loan Banks have seen capitalization improvements over the past year. 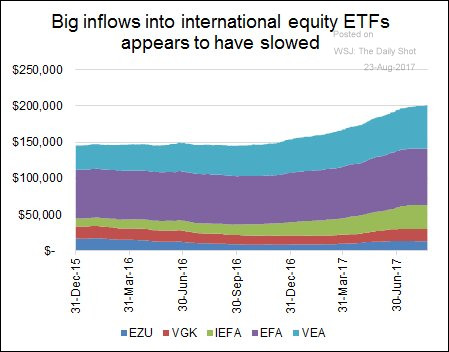 Equity Markets: Inflows into the largest international equity ETFs have slowed. 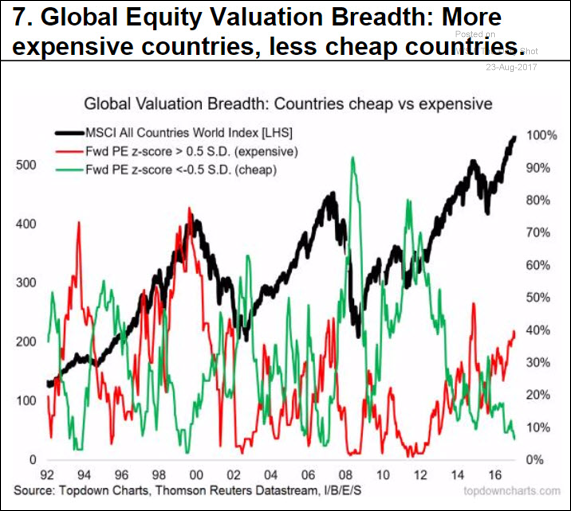 It’s increasingly difficult to find value opportunities around the world. 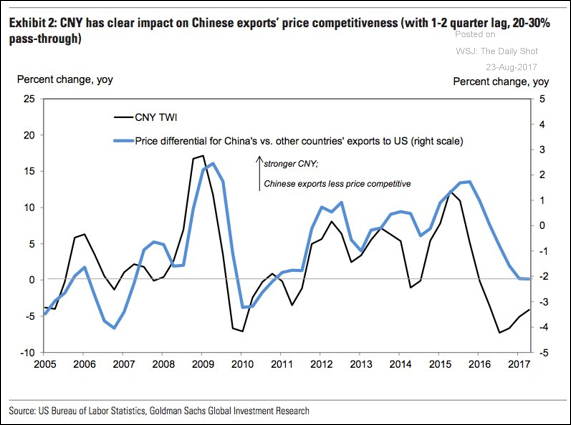 China: A weaker trade-weighted renminbi is making China’s exports more competitive. The Eurozone: The spread between ZEW (Germany’s economic expectations index) and current conditions hit the lowest level since 2011. 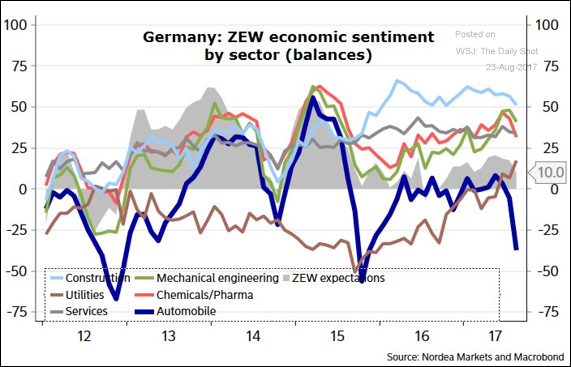 German businesses are happy with the current situation but increasingly uncertain about the future. Much of that pessimism is coming from the auto industry. 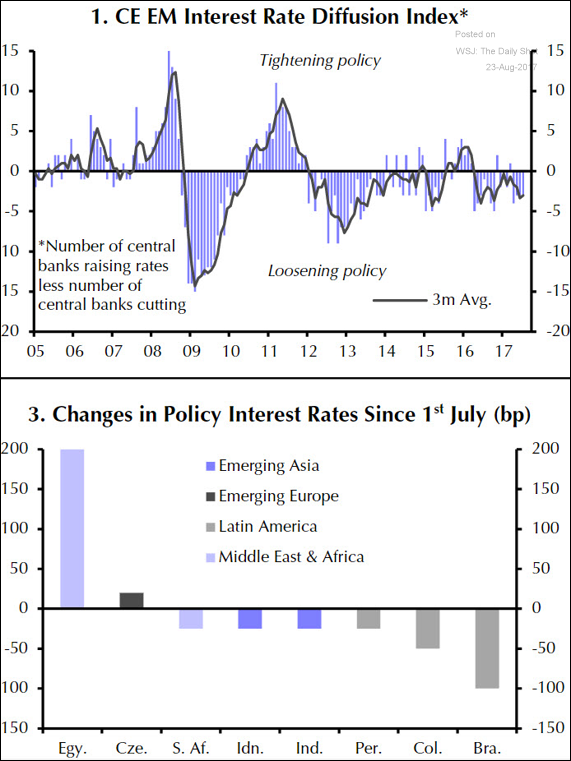 Emerging Markets: The majority of EM central banks are in the process of easing policy. 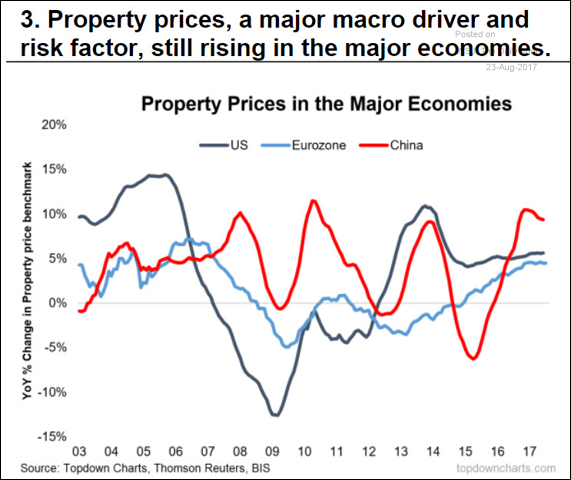 Global Developments: This chart shows housing price increases for the three largest economies. Food for Thought: Best-paid actors and actresses.